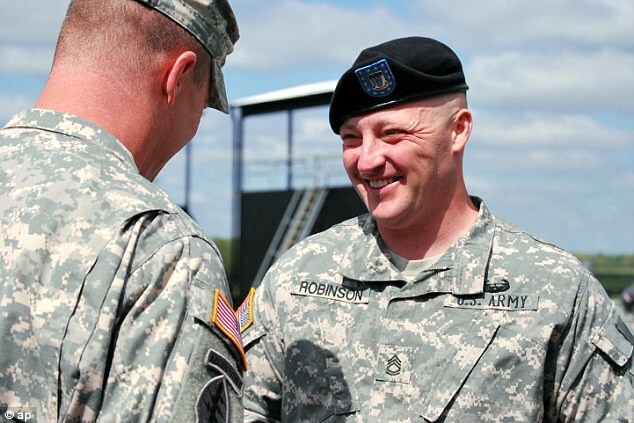 Sergeant First Class Greg Robinson, 34, has graduated from the Army's Sabalauski Air Assault School at Fort Campbell. The course is a physically tough 10-day package that adapts a combat soldier to rapid-assault operations out of helicopters. At his age, that had to be difficult. It's even tougher when you're an amputee. 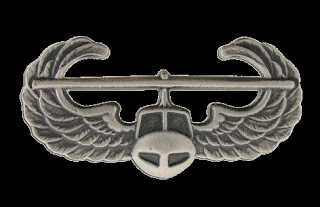 Besides the mechanics of operating in close proximity to helicopters in a combat environment, including pathfinder ops and slingloads, the candidates are required to do a daily two-mile run in under 18 minutes and an obstacle course (including a rope climb), conduct a variety of rappels and fast rope descents from fixed sites and helicopters, and finally a 12-mile forced march with combat load in under three hours. All evolutions require wearing a 35-pound rucksack. 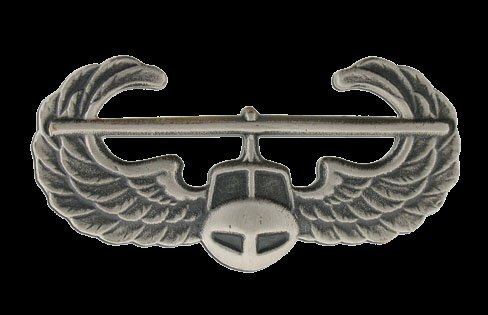 A successful completion of the course earns the soldier the Air Assault Badge and an open ability to operate within the 101st Airborne Division (Air Assault) stationed at Fort Campbell. 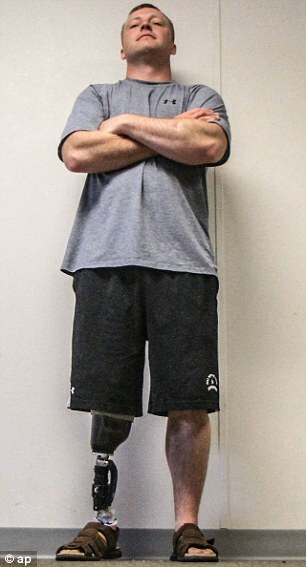 In the case of SFC Robinson, though, he had to successfully complete the requirements – unmodified or 'normed' – with his right leg having been amputated just below the knee, the result of combat action in Afghanistan in 2006 while assigned (it seems) to the 20th Engineer Brigade. He is currently assigned as a platoon sergeant with the 101st: "It's not my job. It's my lifestyle." As to part of his motivation: "I have roughly 30 men in my platoon. As a leader, I didn't want to tell my soldiers that they needed to go to air assault school, if I'm not air assault qualified." There are soldiers who drop out of the course who are otherwise physically capable of doing it. SFC Robinson shows that, like any demanding course of this type in the military, it is primarily a matter of determination. At one point during the obstacle course run and again during the 12-mile march, he had to rip off his prosthesis and repair it after its piston broke down, then he straped it back on and finished in good time. "It's not an obstacle if you don't let it slow you down." As for disabilities, I often go back to my love of history and remember that hard times prove the mettle of hard people. As for aviation, examples include Georges Guynumer, top French ace during World War I who suffered from tuberculosis but insisted on continuing the fight. Toward the end, he had to be carried to his plane, yet still managed to accumulate 53 kills. In World War II, some greats included the famous Stuka pilot Ernst Rudel, the most decorated pilot of the Luftwaffe, who lost his left leg; Douglas Bader, top ace of the RAF, lost both legs; and Saburo Sakai, one of the top Japanese aces, was blind in his left eye. Congratulations, SFC Robinson, or 'BZ' as we say in the naval service. We need more people with your determination, though I pray without your obstacle. But obstacle or not, you're a good man. Pretty amazing. I suppose, if there was a draft again, men like him would be pastured out. But there's historical precedent for armies with leaders wearing prostheses. The French Foreign Legion of the 19th Century was said to have officers "who wore much wood," usually peg legs but sometimes even wooden hands. True. I spent about a week with my platoon doing some training in Corsica with the LE, & bumped into them again in Beirut. I remember one evening trying to diplomatically remark that all their most famous battles were ones that they lost, but this was coming from someone from the land of the Alamo. Their most prized relic is the wooden hand of Captain Anjou from the Battle of Camerón in 1863 in Mexico, which had similar results for the French to our Alamo. In fact, Camerón Day was celebrated last 30 April. I'm encouraged that with examples like SFC Robinson, our military is taking a more realistic attitude about them.